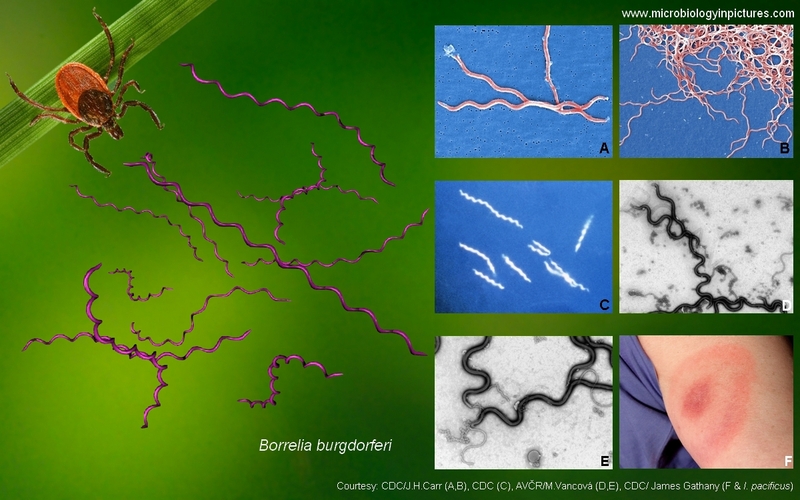 Borrelia burgdorferi morphology and microscopic appearance. Images of Borrelia, infections caused by borrelia, Lyme disease, borreliosis. in Europe and Asia, the bacteria B.afzelii and B.garinii are also causes of the disease. and the possibility of exposure to infected ticks. Laboratory testing is helpful (ELISA, Western blot, PCR). or should not take, amoxicillin, doxycycline, and cefuroxime axetil). More about Lyme disease treatment you can find here. tick habitat. The ticks that transmit Lyme disease can occasionally transmit other tickborne diseases as well.